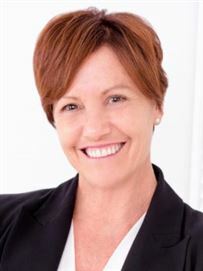 Born and bred in the wonderful West Auckland, Diane brings with her a wealth of knowledge on all matters Property Management, boasting 14+ years in the industry. Having recently joined the team at Harcourts Henderson from a position where she managed over 100 properties in the West Auckland area, Diane is fully equipped to ensure that her clients are receiving the best results possible. Be assured that at all times Diane will work with integrity and empathy, providing an exceptional service to all her clients. Diane welcomes your contact today and looks forward to working with you. I have over 30 years of highly successful Sales and Sales Management experience. initially selling bedrooms and services in hotels, having qualified in hotel management, to several very competitive and technical Business to Business sales environments up to directorship. My last several years, have been focused on selling residential Real Estate as I find helping people move on with their lives very personally rewarding. Having been recognised for my achievements doing that I have now been offered and have grasped with both hands, the privilege of being appointed as Blue Fern’s Business Development Manager in our Property Management Division. I look forward to contributing to the growth and success of this experienced, results driven team, with a new, more business consultative focus aimed at helping investors start or continue to manage and grow their property investment portfolios for optimal reward with minimised hassle and risk.